Earlie Wade Brady, 83, of High Falls died Thursday, March 28, 2019. The Celebration of his Life will be held at 11:00 AM Tuesday, April 9, at Prosperity Friends Meeting, 2449 River Road, Robbins, NC 27325 with Reverend Robert Lee Kidd presiding. Burial will follow the service in the church cemetery. Earlie was born on March 27,1936 in High Falls, (Moore County) NC to the late Rassie B. and Allie Green Davis Brady. The youngest of ten children, he joins his granddaughter Jessica Ann Brady, and nine siblings in Heaven: Joseph Graham Brady, Edward Louis Brady, Mary Carol True, James Warren Brady, Harrison Coolidge Brady, R. B., Jr. Brady, Herbert Lindy Brady, Charlie Eldridge Brady, and Marvin Edison Brady. Left to cherish his memory is his wife of 60 years, Katherine Wilson Brady, one daughter Anna Brady and partner Lisa, one son Paul Brady and wife Cathy, one grandson Owen Brady and wife Abby, special in-laws, and numerous nieces, nephews and cousins. An active member of his community, Earlie lived a life of servant-leadership, serving others through various organizations and leading initiatives that advanced our community in the farming and agricultural business, tele-communications industry, and local schools. 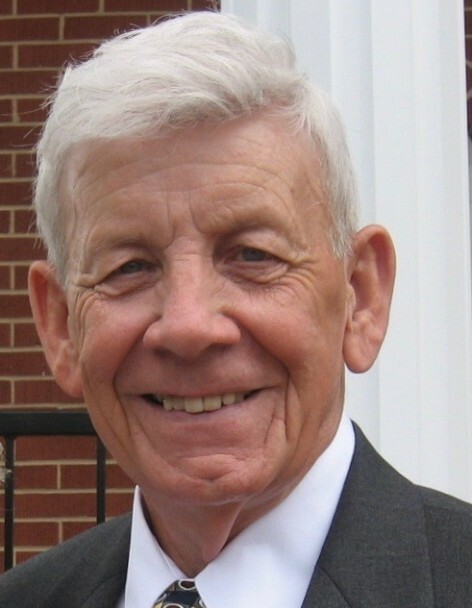 He was a faithful leader and member of Prosperity Friends Meeting for over 60 years, and a Board Member of the Randolph Telephone Membership Cooperation for over 40 years. Earlie retired in 2002 as the Live Operations Manager of Townsend Inc. after a 42 year career in the poultry industry. He loved the people he led and served, and enjoyed the relationships he developed through the years. When his children were in school, he served on the Moore County Board of Education for four years, the North Moore High School Advisory Council, and the High Falls Elementary School PTSA. The family will receive friends at Joyce-Brady Chapel, Monday, April 8 from 6:00 PM to 8:00 PM. Friends are welcome to visit at other times in the home. We are grateful to the numerous family members and friends who have loved and supported Earlie and family through the years, especially recently. We are thankful to the doctors, nurses, and Hospice staff who provided medical attention and genuine care. In lieu of flowers, memorial contributions are encouraged to be made to the First Health Hospice of Pinehurst to ensure that future families benefit from the patient care and family support they provide, or to the Prosperity Friends Meeting Cemetery Fund. Joyce - Brady Chapel of Bennett, N.C. is honored to serve the Brady family.